Hearing is the new reading or it will be soon so. T. P. Gopinath Sep 17, 2016. As a child, someone who is a close relative whom I called grandfather told me stories of Mahabharath and Ramayana day after day as time permitted. I have always looked forward to going to his neighbourhood home to hear stories. He passed away when I was still studying. It pained me deeply as the stories that he told, as a small boy had a bearing on even my character. Stories and books take you to a world of true excitement and knowledge whether as a child or adult. 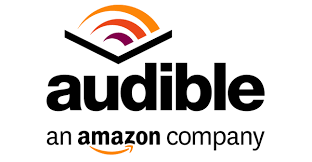 In the fast paced life that we are all forced to follow today, audio books are the new way that gives us the flexibility to continuously read (hear). With the advent of smart phones and apps, it has become even easier. On Android, you have LibriVox (free public domain books) which provides more than 10,000 Audio books totally free and Audible by Amazon which cost money. I am currently hearing a book I bought on Audible called the ‘Pheonix Project’ which discusses the complexity and solutions to the issues faced by IT operations. The book is very interesting and teaches you lot of ideas and the beauty is that I am not bound to a chair to be able to do the reading and learning the book provides. I feel that the future belongs to Audio books due to its convenience and enhanced features such as music as described in the TOI article linked below. I would like to encourage friends to familiarize with this new way of reading both for you and your children. There is fundamentally no better method in acquiring knowledge than reading, hearing, and now viewing videos. Even class rooms are slowly vanishing with the online tuition’s as mode of education is becoming popular by the day. You might have noticed the popular education app BYJU’S recently being funded by FB founders. As a footnote, let me copy from the huffingtonpost article on, ‘The Reading Habits of Ultra-Successful People’ which is linked below. Remember that at least some of these people are college dropouts. It is clear where their ideas are coming from. Bill Gates reads about 50 books per year, which breaks down to 1 per week. Mark Zuckerberg resolved to read a book every 2 weeks throughout 2015. I have read that Gates actually reads paperback books. While I find it a little hard in comparison, I have immense respect of the habit of the great business man and inventor.